Audi Repair In Covina, CA | TL Motors Inc.
Audi vehicles are known for their precise engineering and sleek design. When it comes to taking care of your luxury vehicle, it is important to find an auto repair center that you can trust. At TL Motors in Covina, CA, we are the experts when it comes to high quality auto repair and professional service. 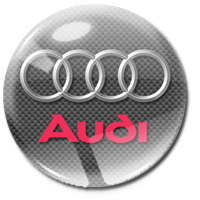 Our mechanics are ASE certified and are experienced with all makes and models of Audi. We can handle any repair or service your vehicle may need, from scheduled maintenance to major repairs. Whether you own a A4, S3, TT Coupe, Q5, or A6, our Covina auto repair shop is here to help. Audi vehicles are extremely complex and carefully designed, which requires a certain level of knowledge and training to properly repair and service. At our San Gabriel Valley auto repair shop, we have the latest diagnostic equipment and factory level tools to tackle any issue. We also use only the best OEM or OES parts for your Audi. Our mechanics are constantly staying up to date with the newest Audi vehicles and technology in order to provide our customers with the best possible service. Our goal is to make sure that you leave our shop with a reliable and safe vehicle. TL Motors is your Audi dealership alternative, offering dealership level service without the expensive price tag. We also offer an outstanding 36 month/36,000 mile warranty on repairs and services. We understand the common issues that can occur with Audi vehicles, including catalytic converter failure, spark plug issues, and oil leaks. As soon as you notice an issue with your vehicle or the check engine light has turned on, bring your vehicle into our shop. We will determine the exact cause of the issue and repair your Audi correctly the first time around. We also perform all minor and major factory recommended maintenance on Audi and will help remind you of when important services are due. TL Motors is a family owned and operated auto repair shop that has provided quality automotive services to Covina, CA and the San Gabriel Valley since 1978. If you’re looking for expert Audi repairs and services, look no further than TL Motors.